Unjo has one of the largest engineering teams in Sweden focused exclusively on developing world leading customized motor control solutions. We are currently looking to fill a R&D Electronics Engineer vacancy, ideal for anyone looking for new technical challenges in an exciting professional work environment. Unjo is a rapidly expanding and world leading company that develops, designs and produces customized motor controllers and motor control systems providing an optimal solution for each customer since 1996. We offer a creative and varied working environment in a large team of R&D engineers driven by the challenge of developing cost-efficient and optimized electrical motor controls with state-of-the-art control performance in a wide range of industries. 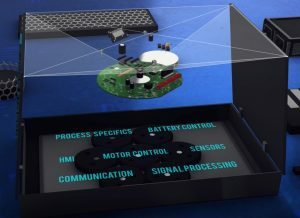 Our core R&D competencies include in-depth understanding of the interaction between mechanics, software and digital hardware on a system level as well as detailed knowledge of various digital and analogue hardware components. Project management, system knowledge and application expertise on how different electrical motors are controlled are also vital for success. Understand the interaction between software, electronics and mechanics as well as an understanding of how to control and drive different types of electrical motors. The ideal candidate is structured, knowledgeable, works in an orderly fashion together with the different project team members order and likes to communicate with both employees and customers. If you want additional information about the position, please email Unjo´s R&D Manger Tony Rydebrink. For questions regarding recruitment process itself, please either email Mattias Lyckberg at Intenso Teknikrekrytering AB or phone him at +46-733-336080.